They say that it is more blessed to give than to receive. If you love to give, you know how true that can be – especially when you manage to achieve the nearly impossible feat of giving the perfect gift. This requires patience, tenacity, and, most importantly, knowledge. If you don’t know the person you’re shopping for really well, you’re bound to make a faux pas. You might think you’ve found a wonderful new book for that avid reader in your life, and it turns out he has three copies of the same one. Or you get a gift card for that DIYer who loves home renovations, only to realize that she prefers to shop at a locally run store because of a friendship with the owners. Or you think you’ll surprise that family member with a sweet tooth with a box of quality chocolates, and then you discover that he has been instructed by his doctor to avoid sugar at all costs! But the better you understand what the needs of your recipient are, the easier it is to find a present that will make her life better, rather than more complicated or frustrating. Nyiramparage Collette is a mother who has always made feeding her son Jean plenty of food a priority. So you’d have to understand her situation well to see why her perfect gift was a course in food preparation! It turns out that eating enough food is not the same as getting the right nutrients. Collette was shocked to discover that Jean was malnourished. Along with 413 other parents in her area, she was trained on how to prepare balanced meals and use kitchen gardens to grow alternative food groups in an affordable manner. “After the training, I learned it is not so important to focus on the quantity of food served as much as it is important to include the various food groups for proper health and growth of my child,” says Collette. Even with limited resources, Collette is now able to effectively grow vegetables and staples, and to give her son everything he needs to be healthy. Nyirabugingo Adeline dropped out of secondary school and was relying on her parents to support her, even at an age where she could have been more independent. But thanks to the perfect gift of a tailoring program made for female youth in her situation, her life has turned around. In a beautifully ironic twist, Adeline has now learned to sew and mend school uniforms, a skill in constant demand since uniforms are a requirement for children in the area. This occupation has not only provided Adeline with an income, it has also prevented her from engaging in high risk behavior like substance abuse, petty theft, and developing unhealthy relationships. Uwimana Francine is part of the Abadahemuka Cooperative in Busekera, Rwanda. Her community is one of the poorest in the region, and her prospects were limited. She had been barely surviving on only the 1,000 Rwandan francs she earned from odd jobs around her village – that’s $1.65 per month. Her perfect gift was the opportunity to learn a trade through FH. After receiving training in the field of tailoring, she gained the independence and empowerment to change her life. As a tie and dye materials specialist, Francine found herself with skills that are in demand in her region. 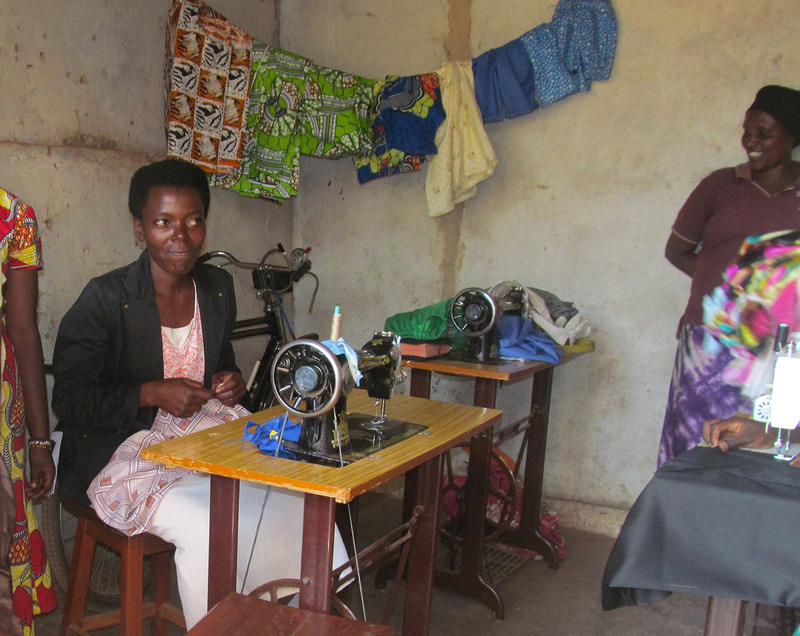 Today, she earns 25,000RWF (CAD$40.89) and is able to save about 40 percent of that income. Now that you have the knowledge, we’ve done the rest of the hard work for you! Look through our GiftGuide and you can provide another perfect gift in a needy community. 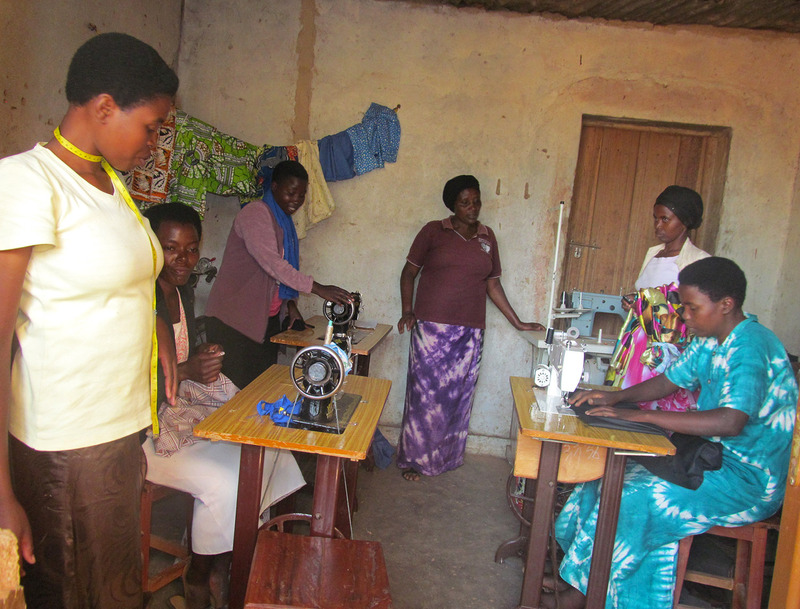 Women from the Abadahemuka Cooperative in Busekera, Rwanda are honing their skills while providing a service to their community - and making an income!